Should Conservation Charities take a bigger and more direct role in Eco-Tourism ? Some of the best Conservation Organisations, such as Conservation International and the Wildlife Conservation Society, work in a lot of poorly developed regions. Typically these areas have valuable wildlife resources but local tourism infrastructure is almost non-existent. By establishing an Eco-Tourist branch to their operations conservation bodies can take wildlife tourists to see rare and unusual wildlife in off-the-beaten-track localities. The tremendous growth in worldwide wildlife tourism can provide a constant supply of travelers prepared to be pioneer visitors to these exotic locations. 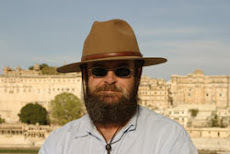 The two main criteria that must be satisfied in order for wildlife tourists to come are: 1. Safety and 2. Guaranteed (more or less) sightings of unusual wildlife. With a little effort both can be provided. Visitors can be flown directly to the wildlife reserve to avoid traveling on bad or dangerous roads. The conservationists working in the reserve can train wildlife guides to ensure that visitors get the best opportunity to see the keynote species of the area. Much needed tourist dollars will be brought into the country. It is vitally important, of course, that local communities share in the revenue. This will speed up the process of convincing local inhabitants that wildlife does have a significant economic value and is well worth protecting. Likewise the government will be encouraged to improve their infrastructure and create more wildlife parks to take advantage of this additional income stream. Chad is a troubled country. But its wildlife resources could bring in much needed foreign currency. The stunning but endangered Scimitarhorned Oryx is native to Chad. This could be the flagship species for an eco-tourist project in the country. 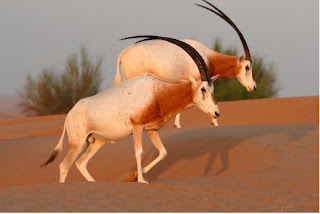 Some years ago the Arabian Oryx was extinct in the wild. Happily they bred well in captivity and have now successfully been reintroduced to Arabia, their native land. The award-winning eco-tourist lodge Al Maha, in Dubai's Desert Conservation Reserve, provides a wonderful venue to see these magnificent animals in their natural environment. Similarly the Scimitarhorned Oryx is more or less extinct in the wild. If a safe haven can be created in Chad then at last animals from private collections around the world could be used to re-establish this iconic species where it belongs, in the Sahel. Al Maha serves as a fine model of how an eco-tourist lodge can be established with trained wildlife guides. Maybe wildlife can be part of the solution for a country struggling to shrug off the ravages of civil war.